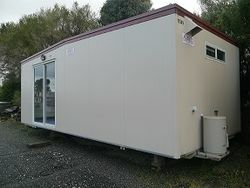 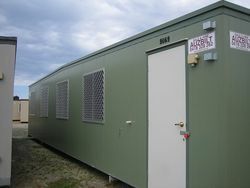 Used portable buildings either refurbished or ex our hire fleet may be an economical option for your project. 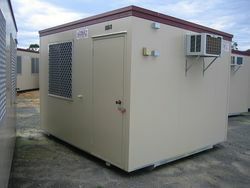 With a variety of used buildings including toilet & laundry units , ranging from 3.6 x 3.0 metre up to multi section complexes ,we may have a used portable to suit your application. 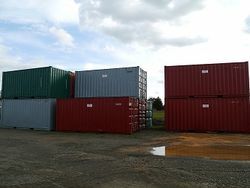 We also stock a wide range of used shipping containers ranging from 2.4 metre up to 12 metre long ,suitable for all types of storage applications, with the options to fit extra access doors, windows ,roof vents , electrical lighting etc.